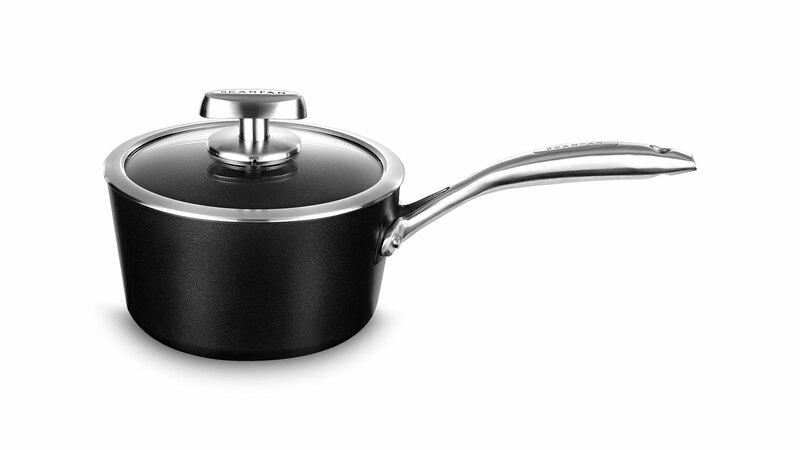 The Scanpan Pro IQ Nonstick Saucepan is designed for cooking beans, heating soups, steaming vegetables and more. Scanpan Pro IQ features a patented ceramic titanium surface, ideal for browning, braising, searing and deglazing. Requires little to no fat for cooking, so you and your family can enjoy healthier meals. 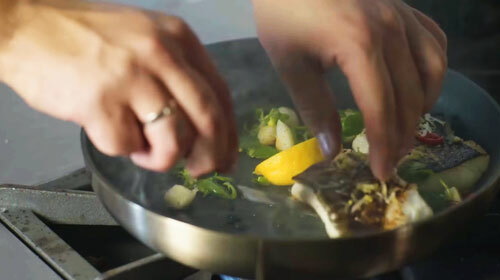 Unlike most nonstick cookware, which relies on a coating, this Green Tec nonstick cooking surface is created by firing a ceramic-titanium compound into the pan at 36,000°. The ceramic-titanium particles briefly liquefy and permanently anchor themselves to the pan. A specially formulated nonstick compound is then embedded in the surface, ensuring a lifetime of use without peeling or interacting with food. Also features a 100% recycled aluminum body with a thick base that guarantees quick and even heat distribution and no hot spots. 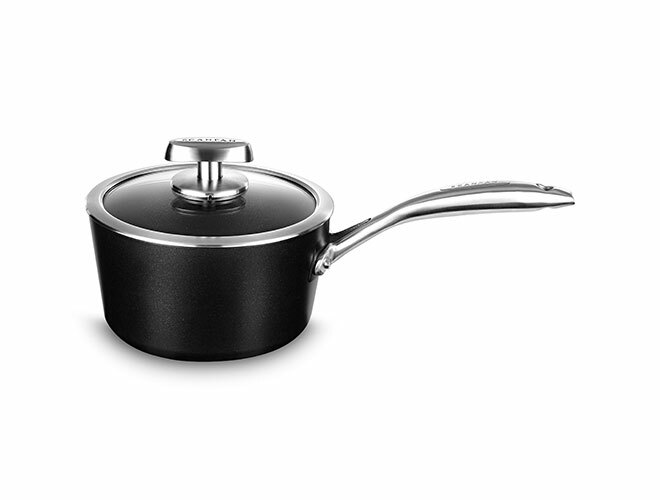 The elegant and ergonomic polished handles are riveted to each pan, so they won't come loose.